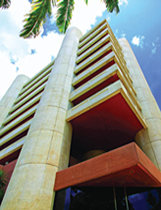 The Central Bank of Barbados publishes a variety of statistics and publications that provide insight on monetary policy, financial stability, and related economic and financial issues. These include but are not limited to Economic Research, Annual Reports, Financial Statements, Financial Stability Reports, Economic Reviews, Economic Press Releases, International Business and Financial Service (IBFS) Newsletters and Monthly Economic Letters. The Bank’s Data Centre houses a wealth of statistical information related to historical exchange rates, selected market statistics on treasury bill auctions, and balance of payments statistics. The Data Centre’s Online Statistics Database facilitates access to a vast array of time series data in downloadable form, in some instances as far back as 1946. Its Chronicle of Central Policies facilitates the ability to search for key aspects of Central Bank Policy in an on-line format, in an easy and efficient manner. The Central Bank of Barbados Book Review Series seek to highlight publications which offer useful insights and analysis on topics related to finance, economic development, and other issues relevant to small island developing economies. The views expressed are those of the author(s) and do not necessarily represent those of the Central Bank of Barbados. The Central Bank of Barbados Book Note Series is primarily a brief commentary noting the publication of an author's work. While it may concisely highlight the main themes covered, it may not necessarily critique the main points raised. The views expressed are those of the author(s) and do not necessarily represent those of the Central Bank of Barbados. Book Review: Fiscal Decentralisation and Budget Control by Laura von Daniels “Fiscal Decentralisation and Budget Control” examines fiscal imbalances, fiscal stabilisation and institutional reforms in Latin America.